Fear sells. Religion, spirituality, marketing experts, politicians running for office and of course governments have long understood that one of the most effective ways of persuading large groups of people to follow your doctrine, to vote for you or buy your product is to make them afraid and feel insecure about themselves. One of the most obvious examples in marketing is selling mouthwash to morning after couples. In religion is the fear of hell or eternal damnation, in spirituality it’s bad karma or lower form reincarnation. The morning after mouthwash commercial was so effective that for a while they mimicked it in movies. Think Julia Roberts in Runaway Bride (1999). The morning after Roberts makes love to Richard Gere she covers her mouth with the sheet and it’s so funny and out of place that Gere mucks her right back while still in bed. We react so readily to fear-based spin because we are creatures of fear. 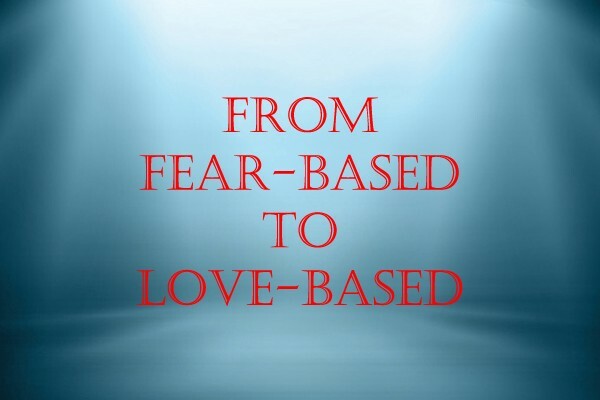 We have been conditioned for thousands of years to respond to fear-based tactics such as fear of not blending in, not being liked or accepted, not advancing, lack of security and most importantly fear of punishment. In the recent HBO documentary Going Clear: Scientology and the Prison of Belief (2015), the director Alex Gibney tells a story about Scientology followers allegedly aggressively pushing each other aside in a weird game of musical chairs for the right to remain in the sect (not being thrown out). This is a classic fear-based programming tactic. Eight hundred years ago Rumi talked about reincarnation. An infinitely long evolutionary journey of the soul from mineral to plant based to animal and then the human and beyond. When our spirits first incarnate from the animal world, one of the main residual traits that we carry over is the fear factor and our mission as progressive beings is to finally shed our little, petty selves and advanced to a much higher self: a being with an empowered mind who is free from dogmatic superstition. Incarnating to super human form and overcoming fear is the main topic in Defending Your Life (1991) a movie by Albert Brooks, starring Meryl Streep. The movie’s main plot is how as homosapians we are forever steep in fear and in order to be elevated we need to overcome it. Rip Torn plays a universal agent that tells Brooks, in the afterlife, the reason he keeps getting incarnated on Earth (the planet of little people driven by fear who are only using 3 percent of their brain power) is because he hasn’t learned to act on his impulses and instinct out of fear. The Streep character however is an example of fear-less living who has continuously taken chances hence advanced to a higher form of living. It’s easy to dismiss the above as works of fiction or simple poetry, but the fact that most of the planet live in constant state of fear shouldn’t come as a surprise to any aware person reading this article. Fear is so prevalent that we celebrate people who overcome it; we call them heroes. We also honor artists and creative people who are courageous enough to reveal their inner selves with all its faults without shame or self-censor. Rising above fear starts with a firm sense of the self. The phrase “self-realization,” is about understanding and accepting ourselves as we are. Although we live in a collective, we are of course not mindless, characterless robots or computer programs. Our sparks shine in unique vibrations, expressing diverse personalities and uncommon abilities. Our minds project our reality. The bubble that each of us calls our reality is a projection of our mind and when we learn to shift our focus and to expand our understanding then our lives expand with it. The process of self-realization is really about mind expansion and loving ourselves (before we can love others). The biggest threat to both personal growth and cultural advancement has always been closed minds, be it fundamentalism, extreme conservatism, religious zealots or dictatorial governments. And sometimes all of the above manifest itself in one place, such as in Iran or Saudi Arabia. Start your mind and spirit advancement by trusting your instinct. Maintain an open mind with a desire to constantly grow. Believe in your own uniqueness and the special spark that sets you apart, not makes you blend in. Understand that beauty, wisdom, greatness is not what Hollywood and the media dictate, but what is already being expressed by the higher self in you. Yes, you can handle love. Yes, you can be love. Yes, you can give love.